“O Monisha, this is so middle class!” Mrs Sarabhai would disparagingly scoff at Monisha, her daughter-in-law in the popular television series Sarabhai Vs Sarabhai. Mrs Sarabhai, essentially “old money” and a self-proclaimed sophisticate, uses “middle class” to express her disdain of Monisha’s love for bargaining and her penny pinching ways. Though the series is off-air now, the term “middle class” is in the news again, unfortunately for the wrong reasons. Some critics are questioning whether the government is doing enough for the middle class. Perhaps a more detailed analysis is needed to evaluate if this criticism has any merit. Before delving into this subject, one needs to define “middle class” in the first place. A formal definition of this term perhaps does not exist, though some efforts to provide an outline have been made. One view considers individuals earning US $2 to $13 a day as middle class. Considering an average exchange rate of Rs 70 per dollar, this translates to an income of roughly Rs 50,000 to Rs 3.2 lakh per annum. Another view takes into account consumption pattern to identify middle class. As per this, individuals/families who own basic lifestyle goods such as a fridge, two-wheeler, colour television, etc. can be called middle class. There’s a third view that considers wealth but that’s not relevant here. A plausible definition can have reference to the two views stated above. A middle class family can therefore be envisioned as one where one or more members is gainfully employed and they may own some basic lifestyle goods such as those stated above. Further, it is reasonable to consider that this class is liable to pay income taxes (that is, earns at least Rs 2.5 lakh per annum). The upper income threshold is not important here as most individuals who file taxes earn less than Rs 10 lakh per annum. Keeping the above in mind, one can notice that the Union government has rolled out a clear development strategy targeting the middle class. This strategy has three broad components. The first involves implementing measures that put more money into the pockets of the middle class, helping them save more. The second relates to creating an environment that reduces their day-to-day hassles and stresses, thus simplifying their daily lives. And the last pertains to empowering them and creating suitable development opportunities. Consider the first. 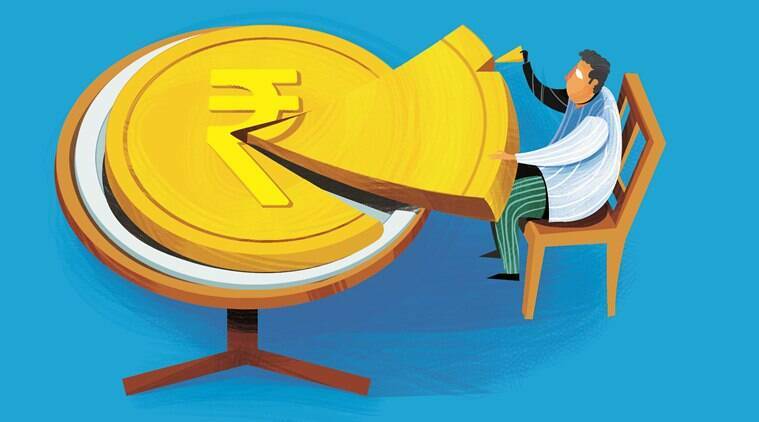 The government has deftly brought down double-digit inflation (that persisted before May 2014) to around 3-5 per cent. This has not only reduced the day-to-day expenses incurred by the middle class, but has also reduced interest amounts paid by them for various loans. Cost of most loans such as home loans, auto loans, education loans is on an average 2-3 per cent less compared to that before May 2014. In addition, several changes were also made in the income tax structure, some of which include: a) increase in tax exemption limit from Rs 2 lakh to Rs 2.5 lakh and from Rs 2.5 lakh to Rs 3 lakhs for senior citizens; b) increase in deduction limit under Section 80C from Rs 1 lakh to Rs 1.5 lakh; c) reduction in tax rate (from 10 per cent to 5 per cent) for individuals earning less than Rs 5 lakh per annum. These are just a few of the important steps taken. Together, these measures increased savings for the middle class to a substantial extent. More importantly, these measures have had a positive compounding effect as the additional savings accumulate year on year. The second component essentially targets making day-to-day life simple for the middle class. Consider physical connectivity as an example. On a daily basis, a majority of the middle class ends up spending hours on personal/office-related commute. To reduce this daily stress, considerable efforts are on to de-bottleneck key traffic routes. Faster and more comfortable transit modes such as metros are being provided. Besides intra-city/town connectivity, inter-city/town connectivity is also being augmented by expanding roads and highways, railways, aviation and waterway networks. Now consider general services next. Here, the general push is to offer public services in a simple and cost-efficient manner. Today, it is considerably easier and faster to get a passport made or to get income tax issues resolved. Senior citizens can submit life certifications digitally. Earlier, one could not have got these things done without multiple visits to the respective departments and often after paying bribes. That said, one must note that key services such as electricity connection, water connection, driving licence, etc are part of the state list and hence are provided by state/local authorities, not by the Union. The last component comprises steps to empower the middle class and create development opportunities. A host of initiatives are being taken to simplify the regulatory environment for businesses and entrepreneurs, increase credit flow for them (Stand-Up India, MUDRA, etc) and impart necessary technical skills to youth, most of whom may be from the middle class. Capacities of higher educational institutes have been increased considerably. Many more such measures have been taken to create sufficient opportunities for the middle class to fulfill their ambitions. Most would agree that the middle class of today’s India is hardly the Monisha of Sarabhai vs Sarabhai. Today’s middle class is, in fact, aspirational. It is financially prudent but at the same time willing to take risks. What it needs is an enabling ecosystem to realise its full potential. And this is precisely what the present government has attempted through its various initiatives.